In October 2015, John Jones and the Reluctant Ramblers spent 3 days in the northern part of the Lake District, based near Blencathra, just east of Keswick. This was a “single location” walking weekend. Thursday 8th October: afternoon walk meeting at 3pm at the Castlerigg Stone Circle then walking to the Salutation Inn in Threlkeld arriving about 5pm. The ‘Session in the Sally’ began at 8pm. See below for more details on this day. Friday 9th October: St John’s in the Vale walks – split into two groups for the morning walk to ‘The Lodge in the Vale’ for lunch. One group took the high-level route and the other the low-level route. Everyone then walked back together via High and Low Rigg. An evening house concert was at the home of our hosts, Graham and Vanya. Every seat was taken for this. See below for more details on this day. Saturday 10th October: Blencathra Day – Again, split into two groups: one for the exhilarating ascent with some scrambling and a need for a head for heights; and the other slightly longer route that still required a good level of fitness and stamina. JJ was the final arbiter of who came on which route. Both groups met at the summit and then descended to Threlkeld by Blease Fell which was a steep descent. The Saturday evening was the “big gig” in the small Threlkeld Village Hall. See below for more details on this day. Walkers met at 3 pm at the Castlerigg Stone Circle, just off the A66 and 1.5 miles east of Keswick. This is an English Heritage Site with parking. Directions here. Outline map below: . We then took a short walk into Threlkeld Village, our walking base for the weekend, and a pint at The Salutation Inn, arriving around 5pm. 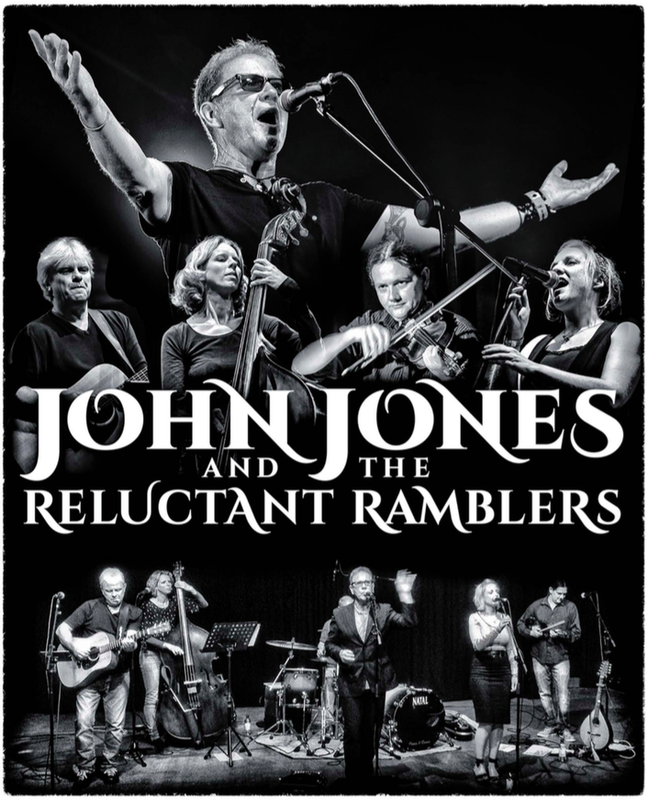 John and the Reluctant Ramblers then led a session at the Sally, starting at 8pm. The Sally served excellent food (booking is always advisable). See here for details. Walkers met at the Threlkeld Coffee Shop at the Village Hall at 9am. The “low-level walk” left at 10am and went south from Threlkeld, following the beautiful St John’s in the Vale across fields before hugging the right bank of St John’s Beck underneath High Rigg. The path emerges on to the A591 briefly at the northern end of Thirlmere. The “high-level walk” left Threlkeld at 9.30, passing the disused quarry and following the path up Threlkeld Common to reach the Old Coach Road and then climbed to Clough Head. The path follows the line of Fells – Calfhow Pike , Great Dodd , Watson’s Dodd , Stybarrow Dodd and then descends Stick’s Pass with Helvellyn in the distance where they met the other walkers for lunch. Everyone then walked back together via High and Low Rigg. See the map here. There was an evening house concert at the home of our hosts, Graham and Vanya. As is the nature of a house concert, numbers were severely limited. Blencathra, also known as Saddleback, is one of the most northerly mountains in the Lake District. It has six separate fell tops, of which the highest is the 868-metre (2,848 ft) Hallsfell Top. The aim of this day was for all walkers who are able to take one of the two walking routes to make it to the top. Route 1. The main party, led by John, left the Threlkeld Village Hall at 9.45. They took cars or the bus to Scales (which has only limited roadside parking) for the ascent to the summit of Blencathra via the longer route. This is not difficult or dangerous but it does go on and on and you do need enough fitness and stamina to get there and to get down again. Route 2. Led by Colin, this route gets to the summit via Hall’s Fell Ridge. An exhilarating ascent but to do this you need a good level of fitness, a head for heights and some experience of scrambling. It is steep and unremitting but ultimately very rewarding. Both groups met at the summit. Both groups then descended to Threlkeld by Blease Fell. This was a steep descent. See the map here. All the high-level walks were weather-dependent and have steep ascent and descent. We were blessed with excellent weather and everyone made it to the top of Blencathra (and down again). The weekend finished with a “big gig” in the small village hall in Threlkeld. Absolutely gutted we won’t be able to be there “down by the lake” as I’ve run out of annual leave from the corporate treadmill. I hope everyone who can make has a fantastic time and I’ll sit in my office grinding my teeth every time an update comes in. My son and I are booked into the White Horse Inn, Scales for the walks in October – really looking forward to it! I’ve got a guest house booked on the outskirts of Keswick and coming up by train (to Penrith, then bus). What a brilliant weekend that was. Fine scenery, dry weather, exhilarating walking, great company and fantastic music. What more could you ever wish for!